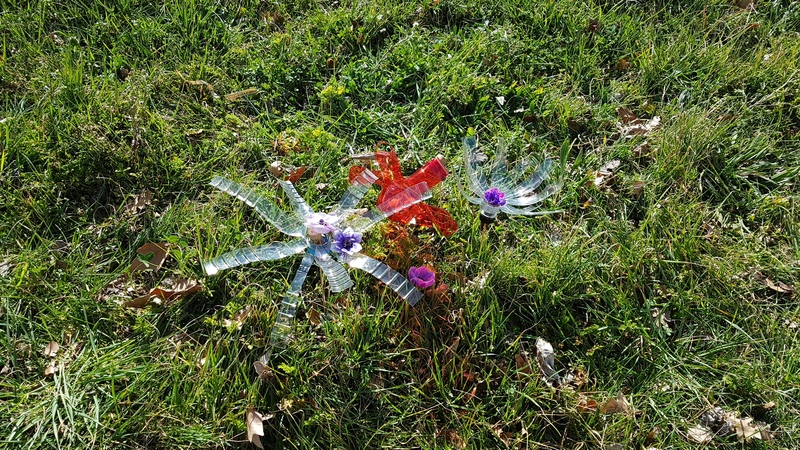 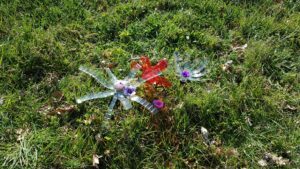 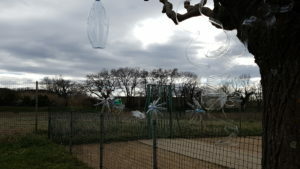 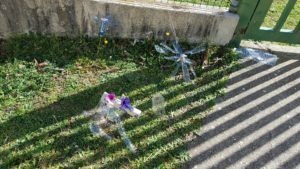 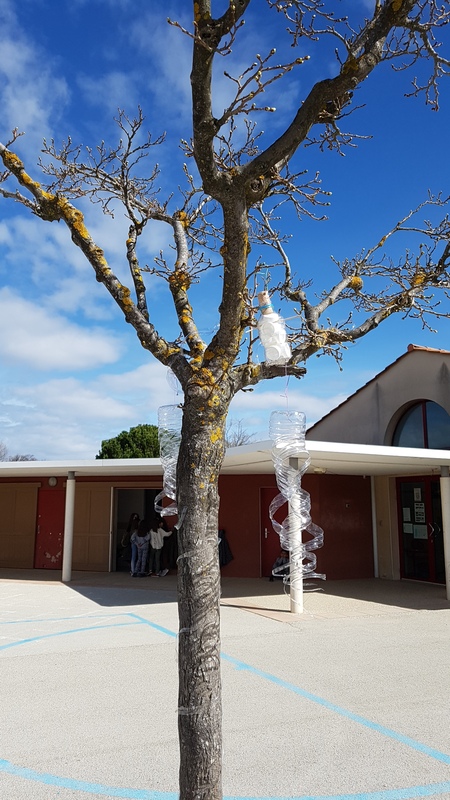 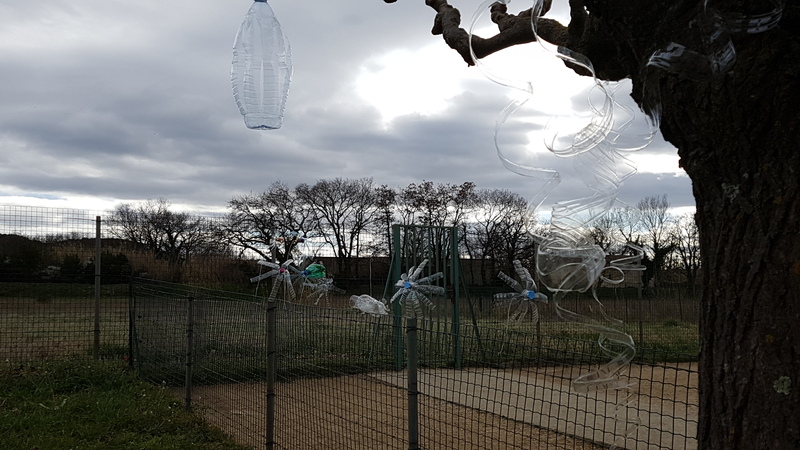 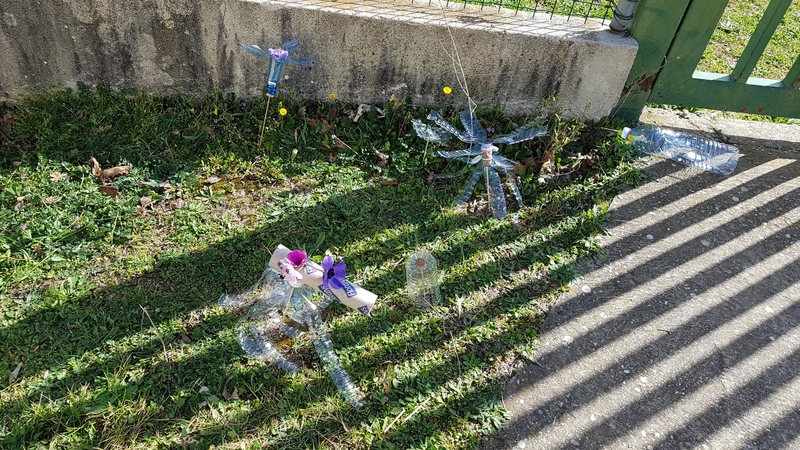 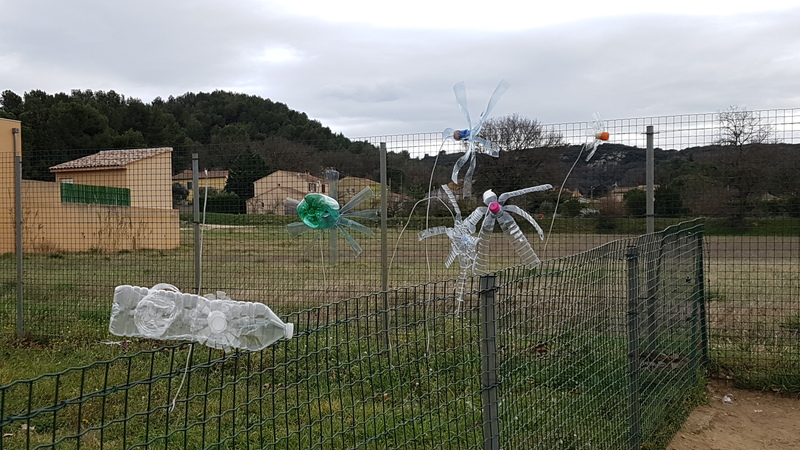 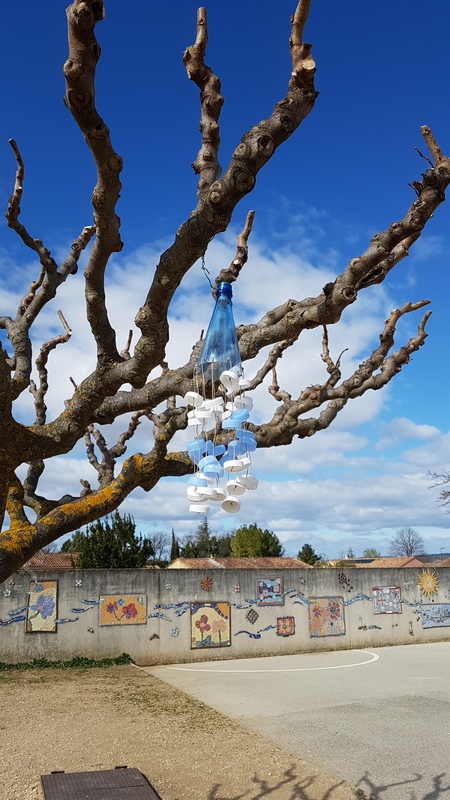 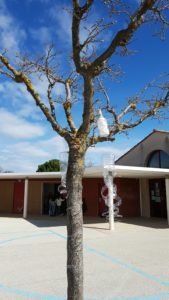 To prepare our festival, we decided to create a wind garden. 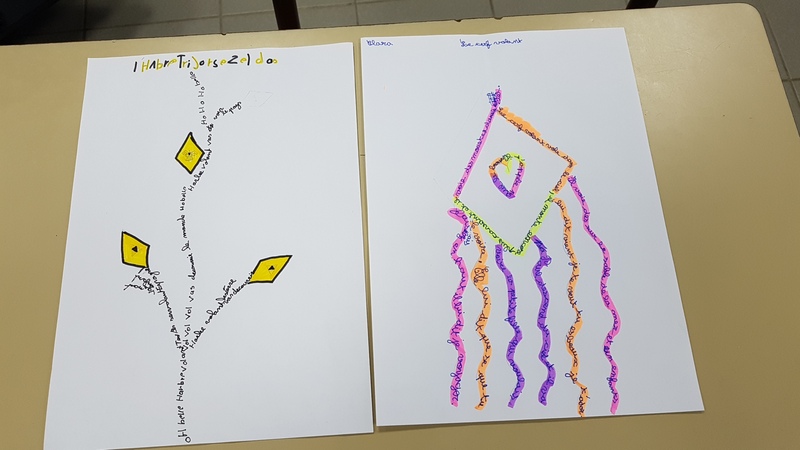 And the results were beautiful . 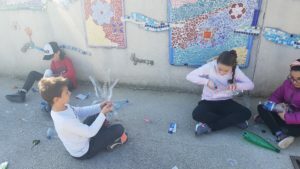 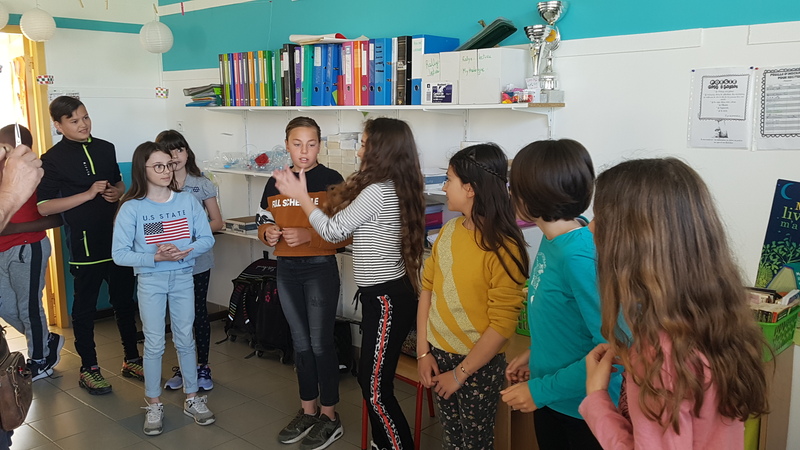 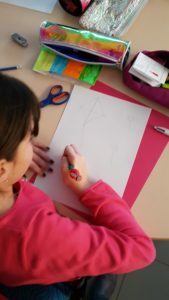 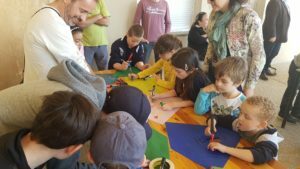 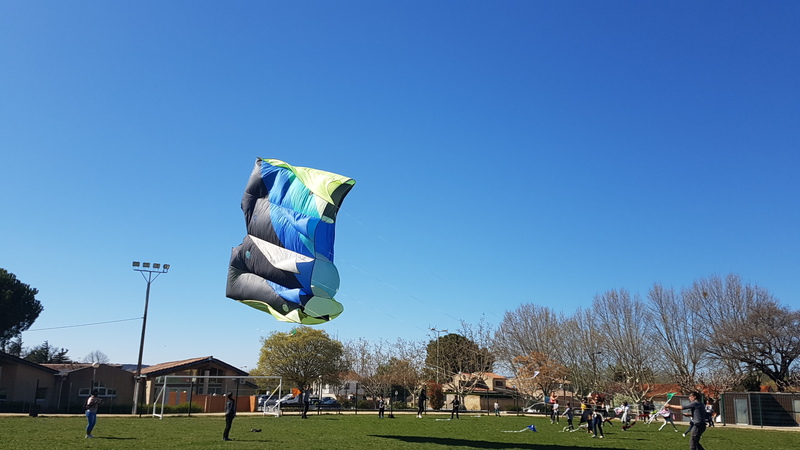 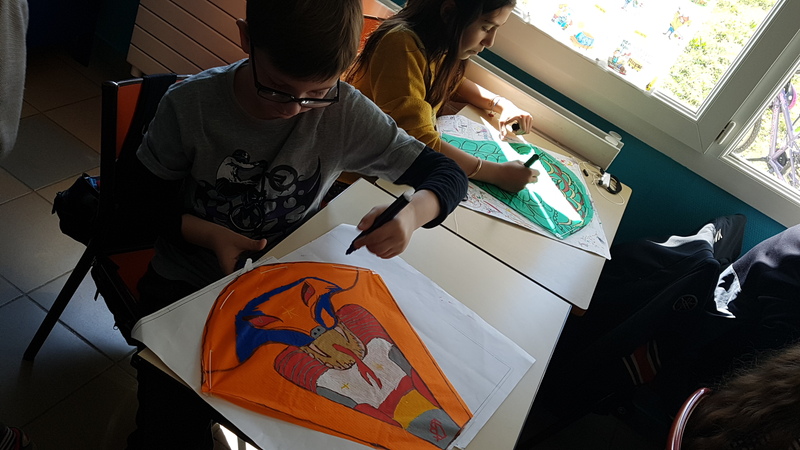 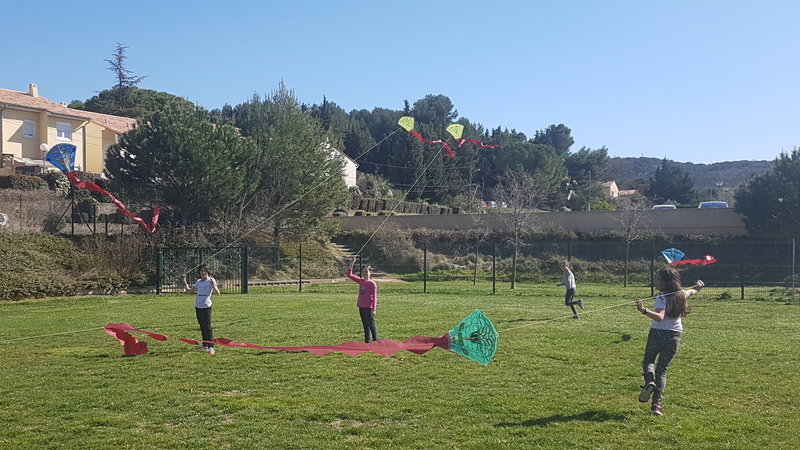 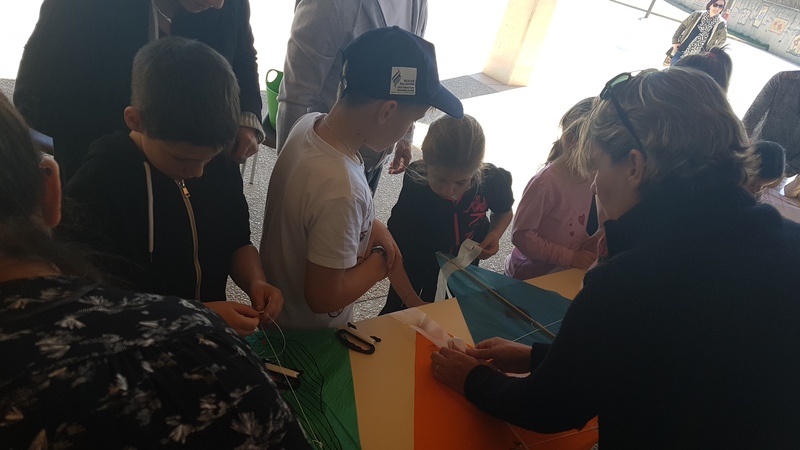 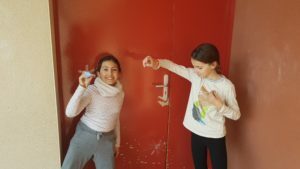 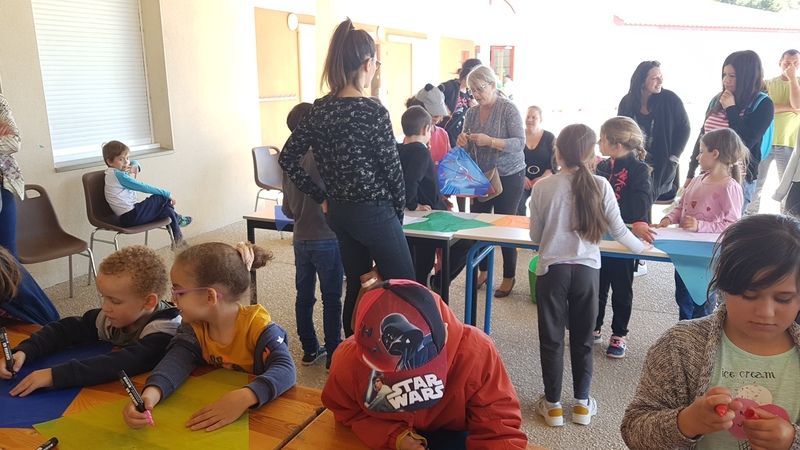 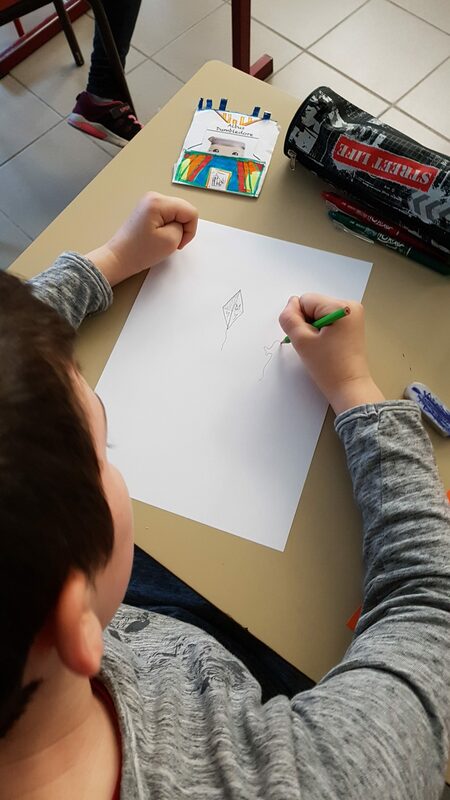 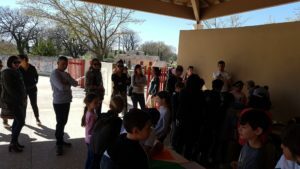 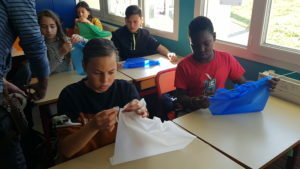 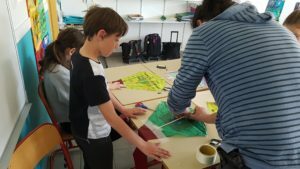 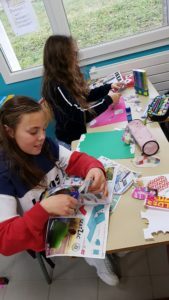 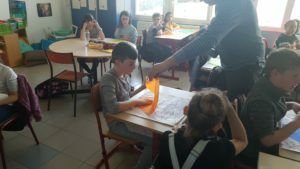 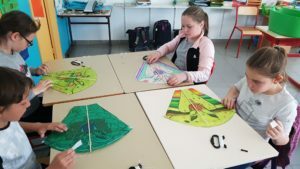 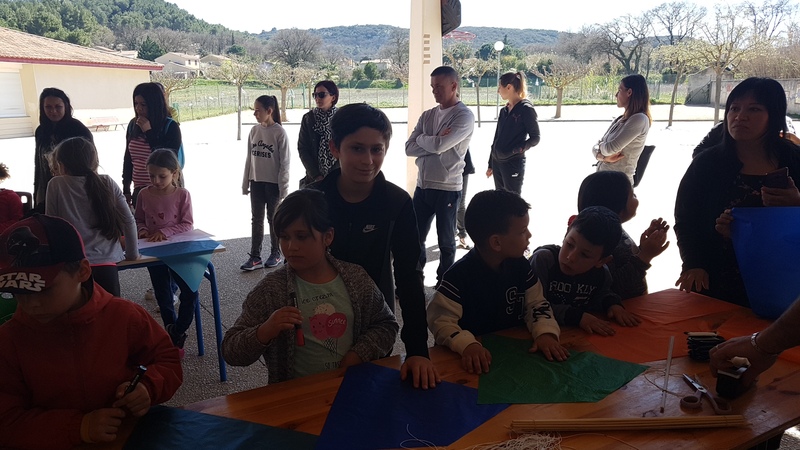 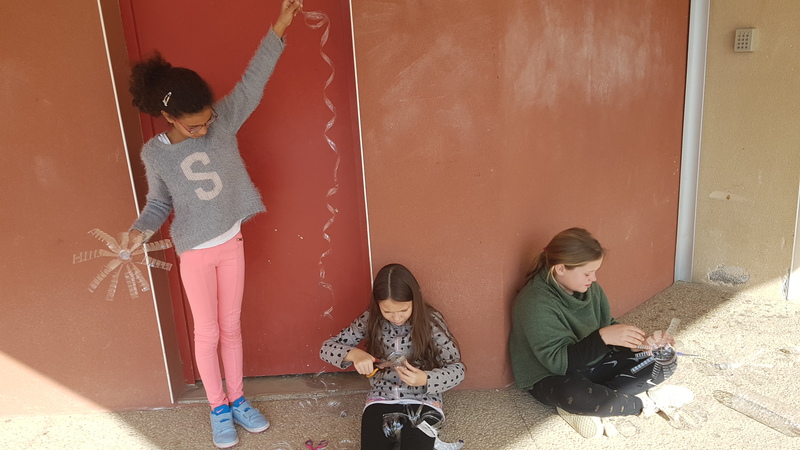 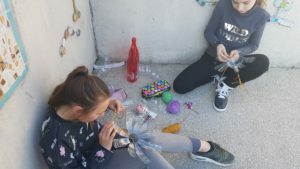 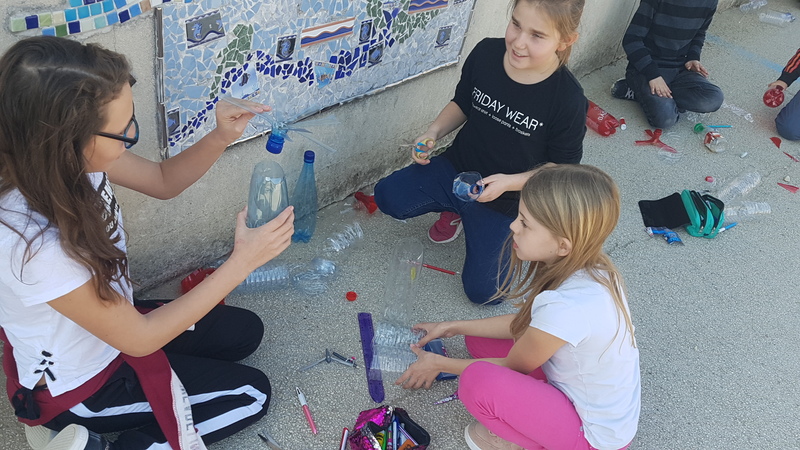 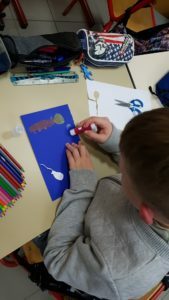 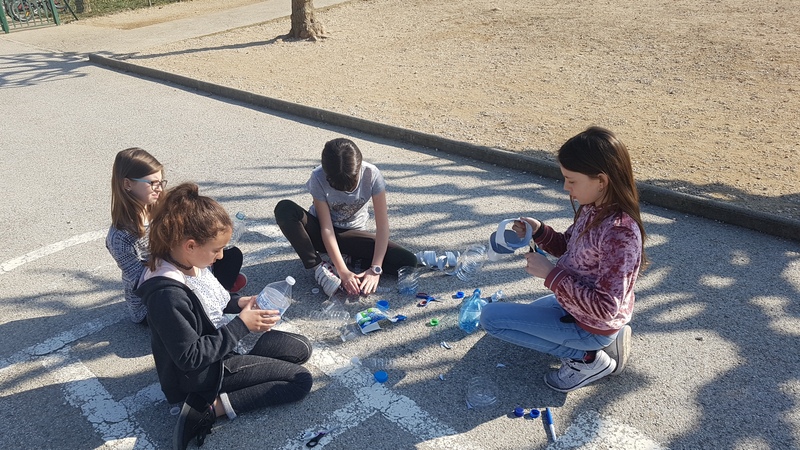 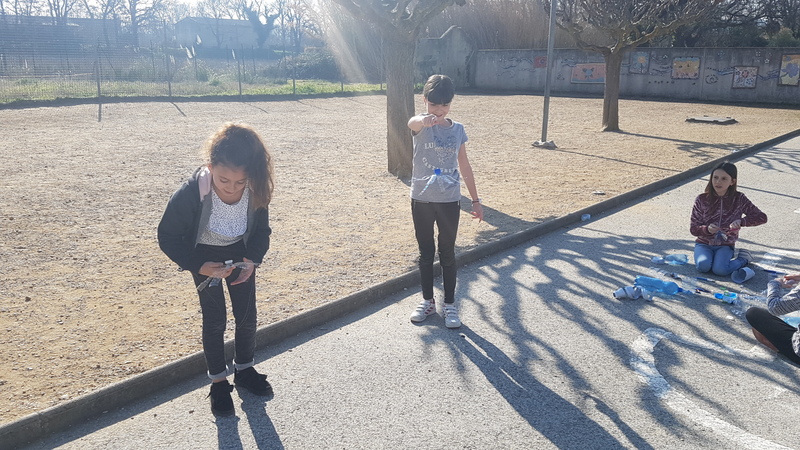 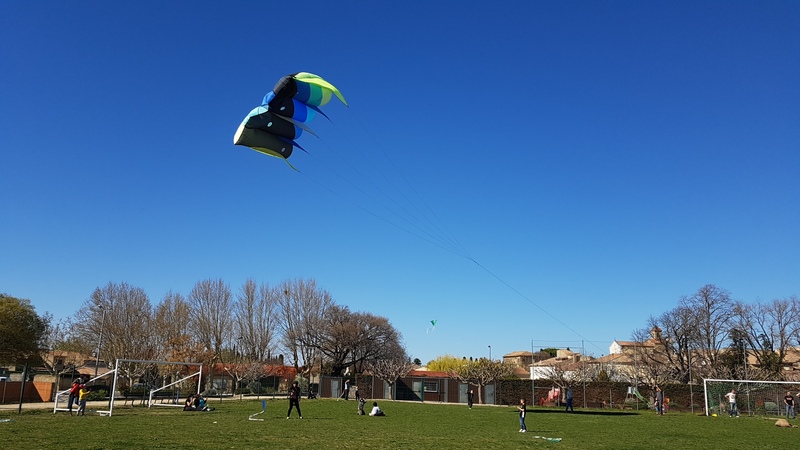 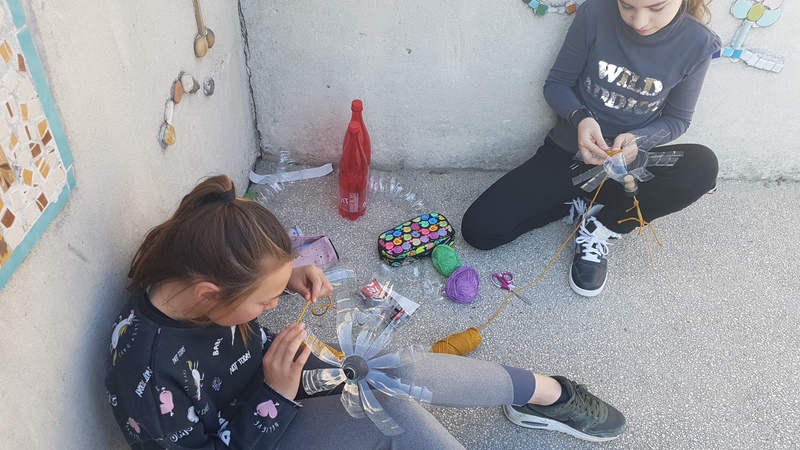 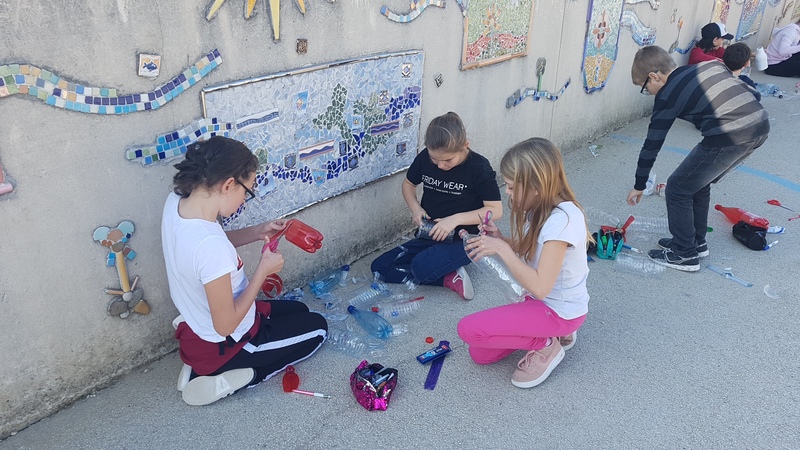 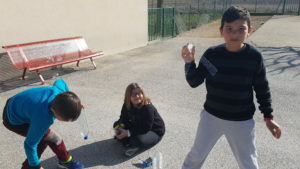 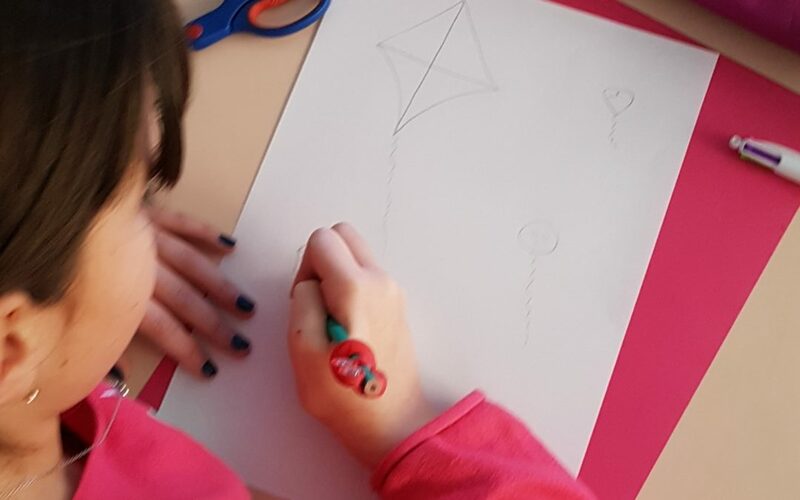 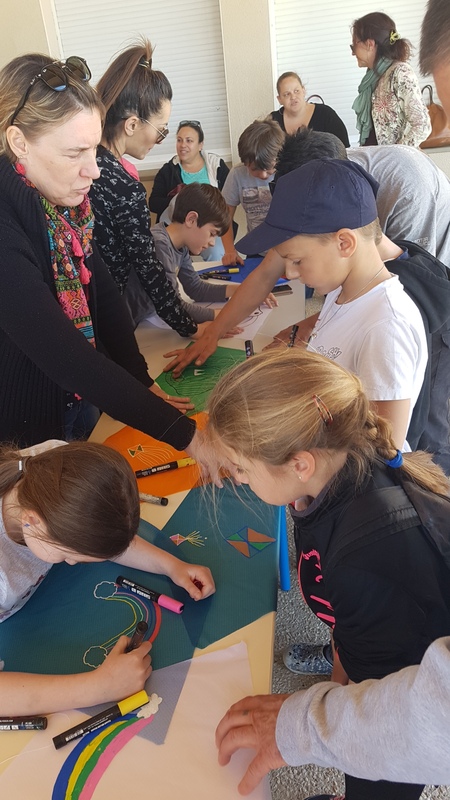 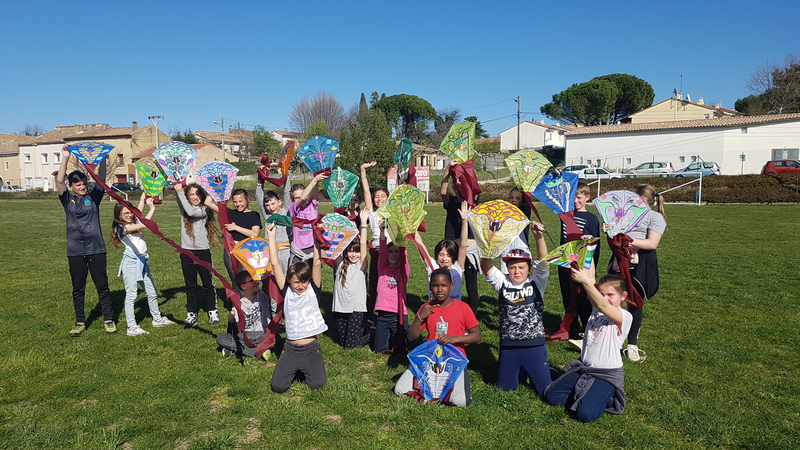 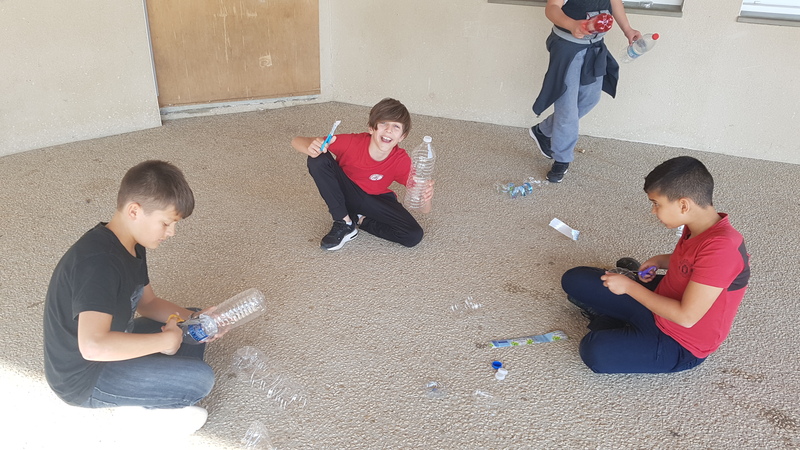 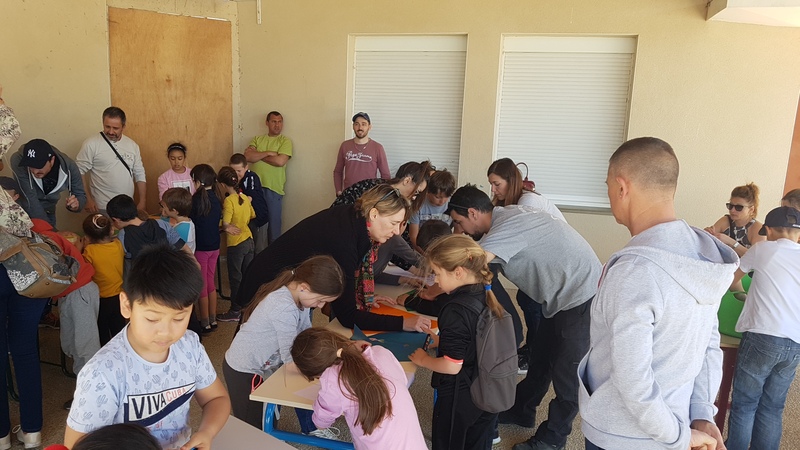 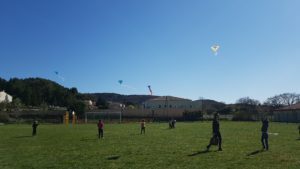 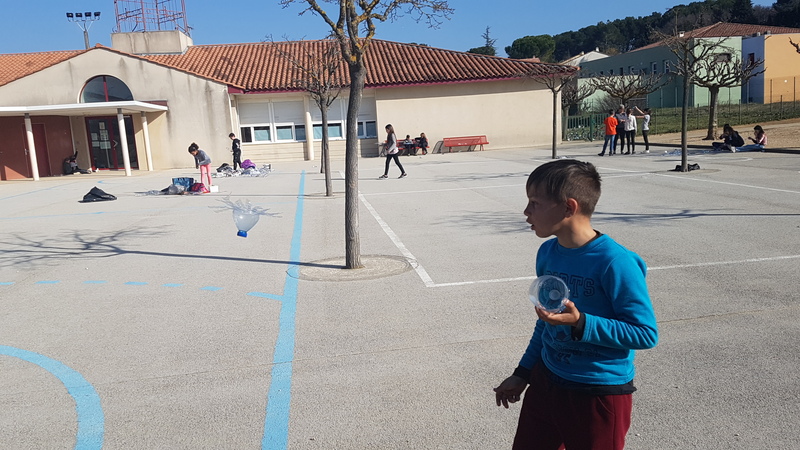 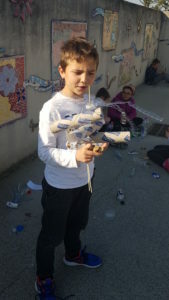 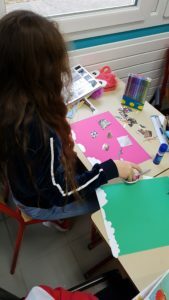 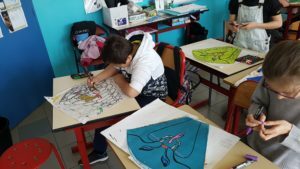 Saturday 23rd of March, we invited all the pupils of the scholl with their parents to create their own kite. It was a nice moment and children and parents enjoyed sharing this moment together. 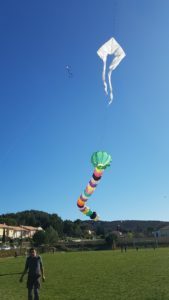 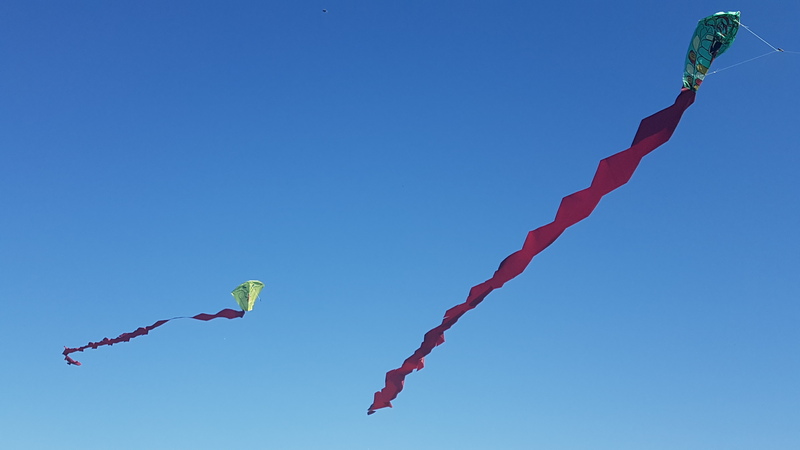 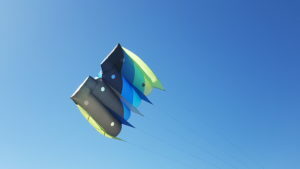 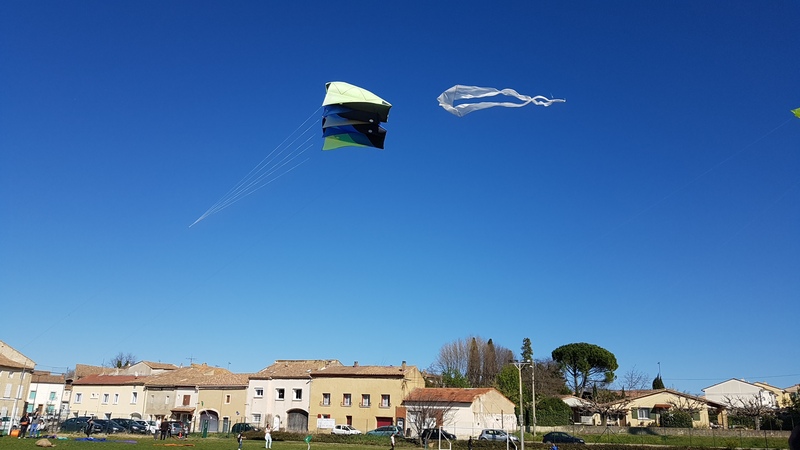 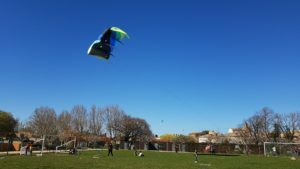 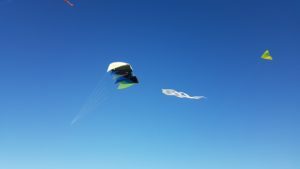 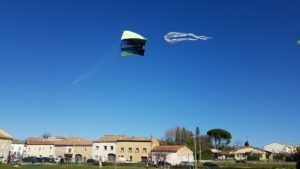 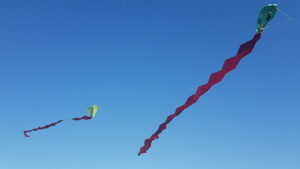 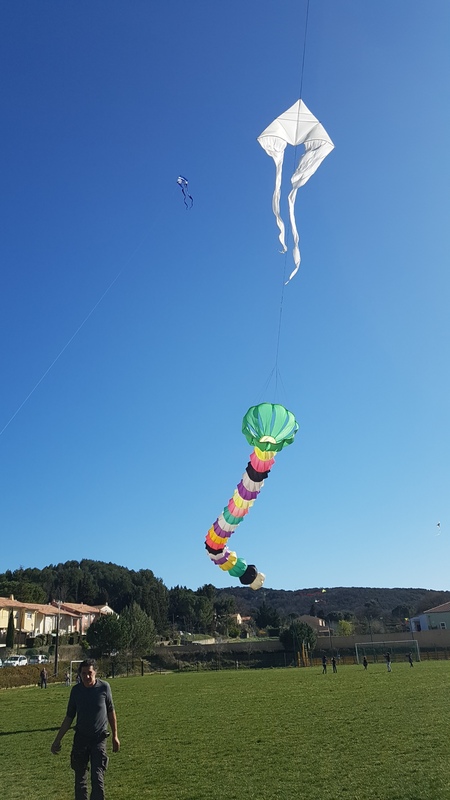 Then François took his own big kites and we can see in the sky of St Geniès lots of colours . It was an happy afternoon with lot of joice! 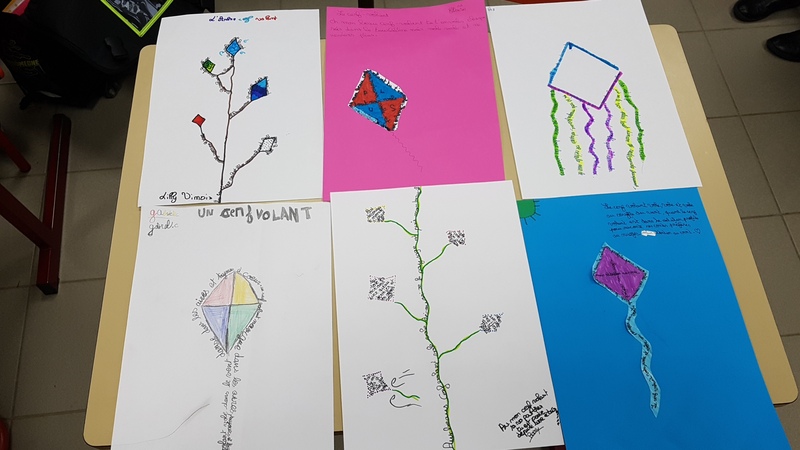 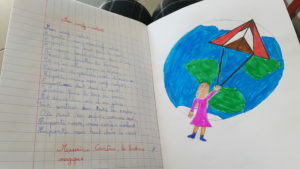 We studied poems of kites and pupils wrote calligrams. 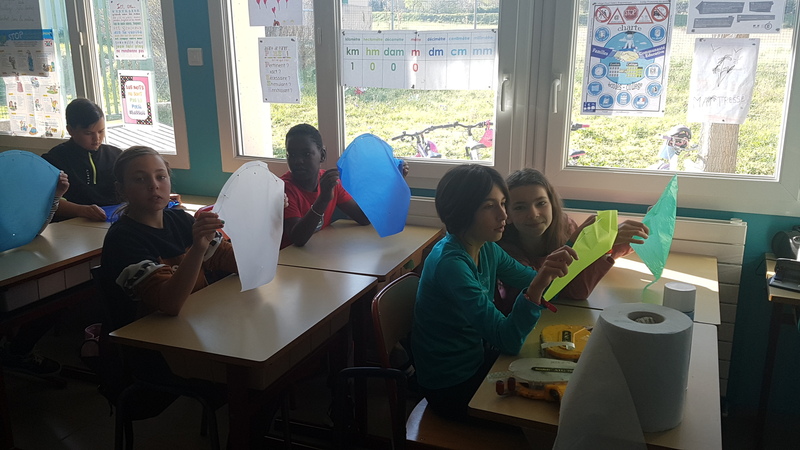 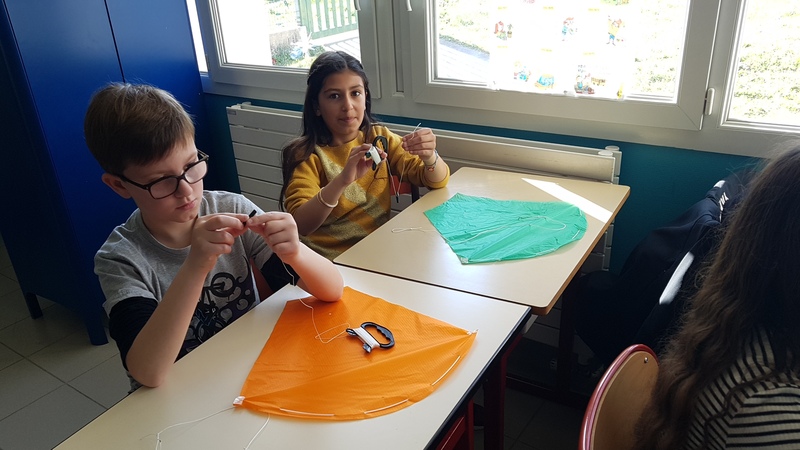 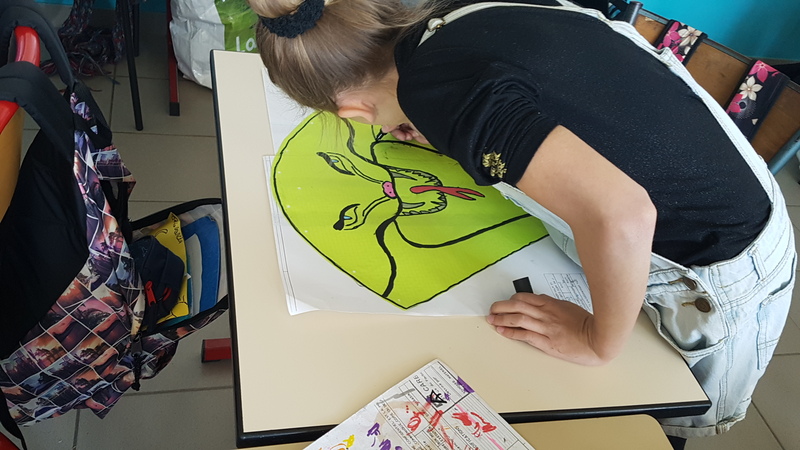 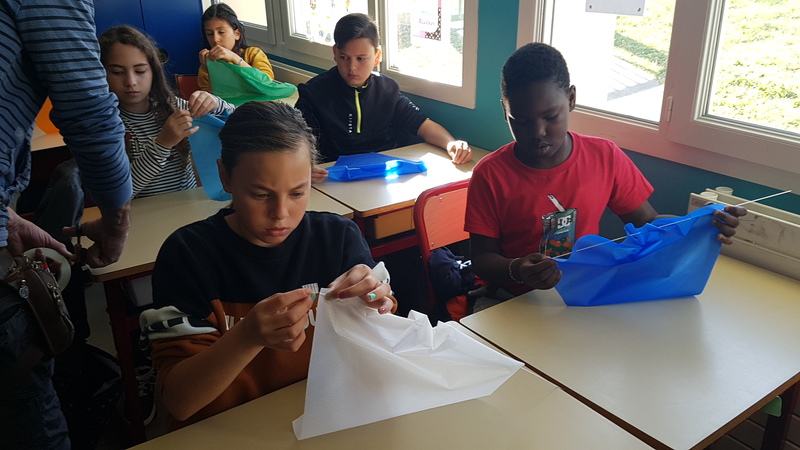 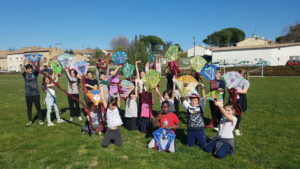 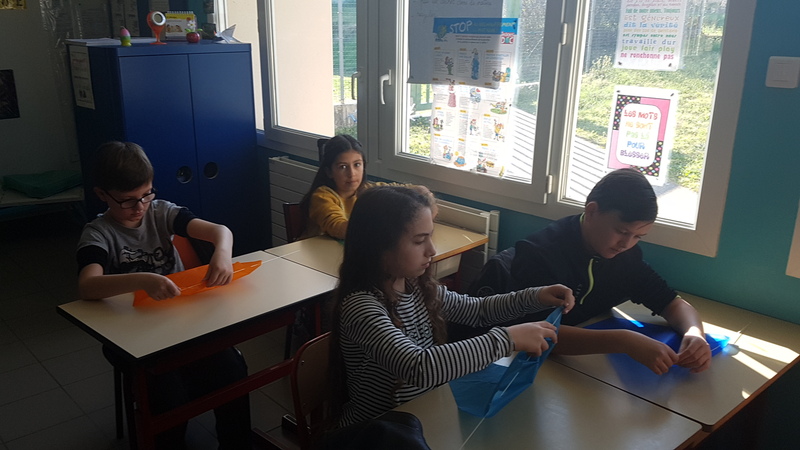 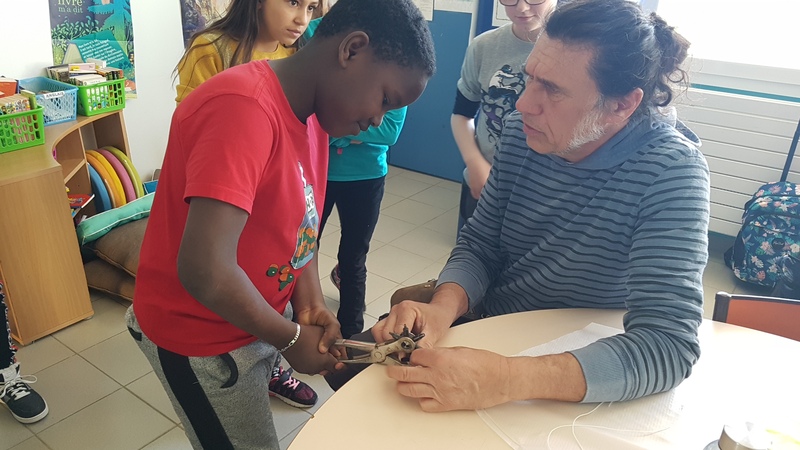 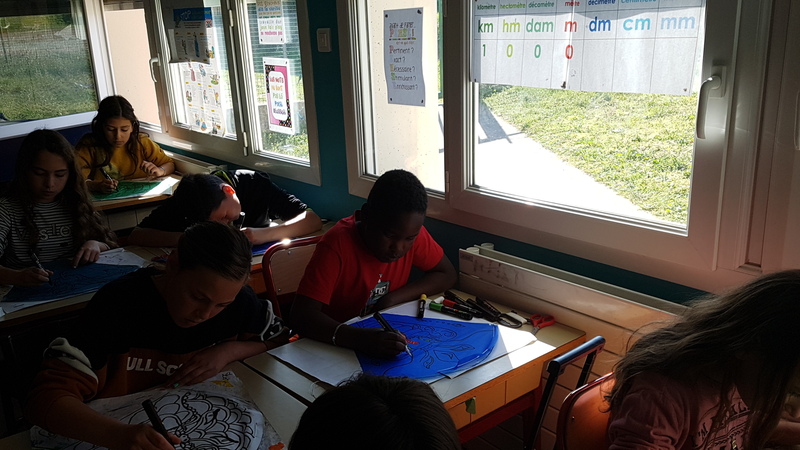 François, a kite’s specialist , came at school friday 22nd to learn children to make their own kites. Pupils were very attentive, motivated and interested. 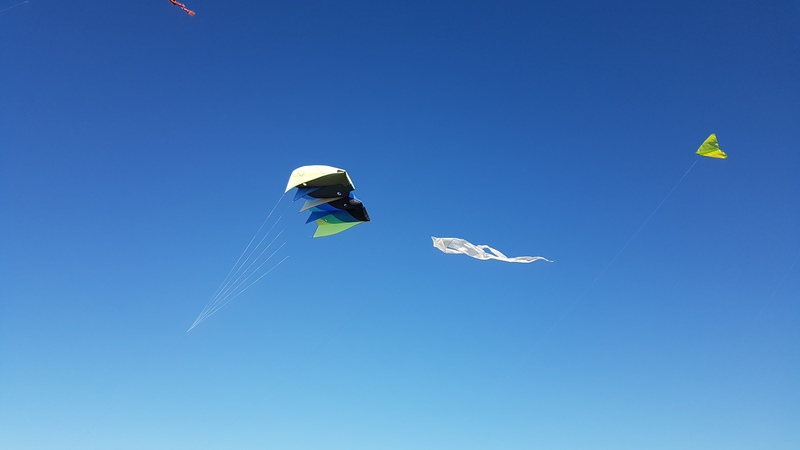 At the end of the day, children enjoyed to try their kites… run, smile, .. it was a good day! This is the result of pupils’ inspiration! 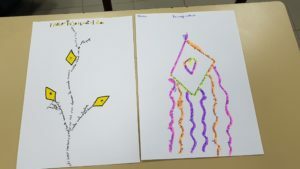 In Literature, children have created calligrams . 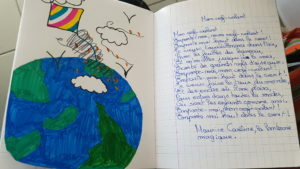 Write poem is not easy for young people ( even for the adults) but the result of their hard working is nice. 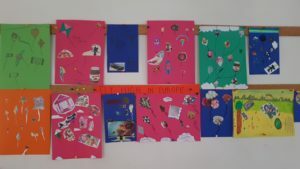 In Art too, children have let their imagination speak. 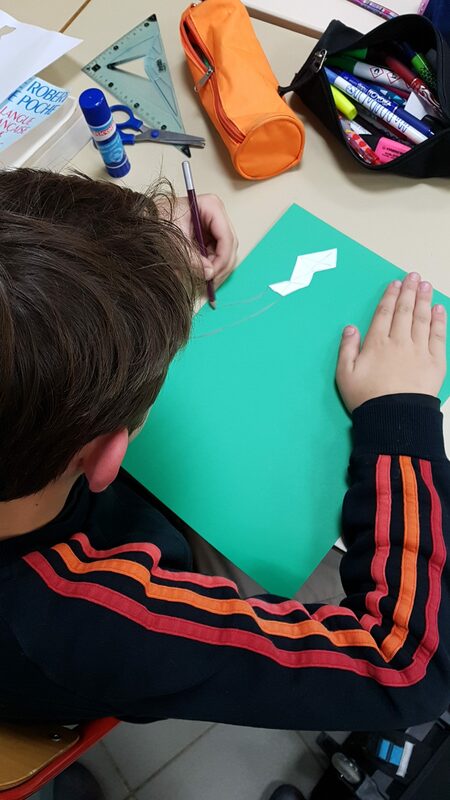 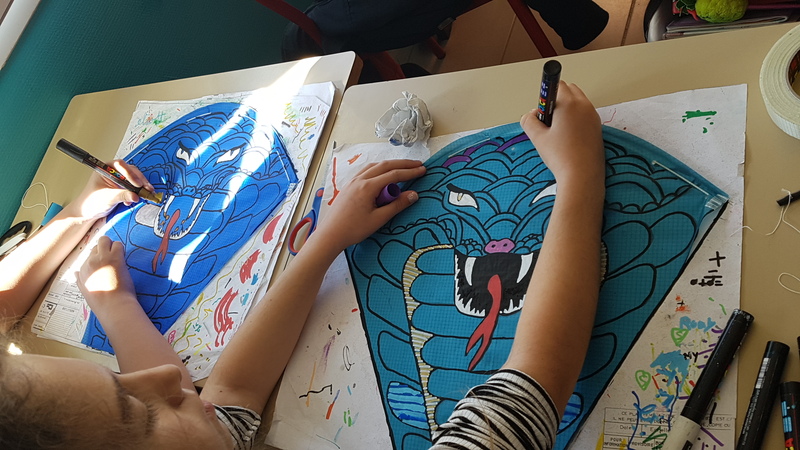 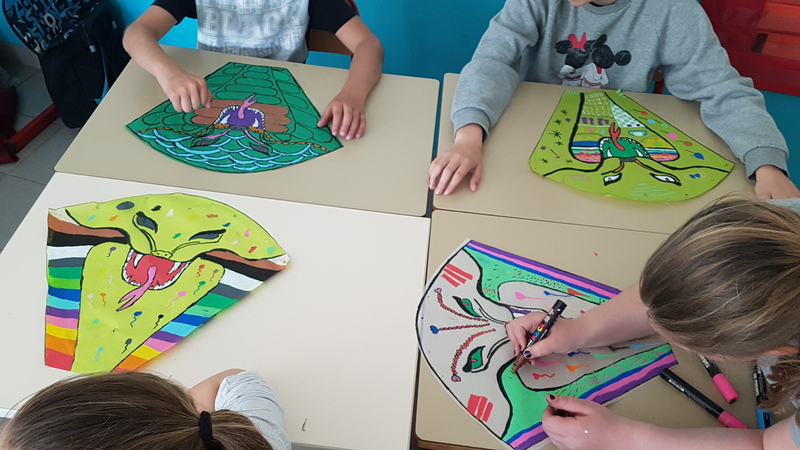 Like Kadinsky, they tried to create a” Blue Sky” with papers, scissors, glue… they began to cut and draw , They enjoyed this moment.